Attached is a picture of my new CD Runabout. It is called "The Wedge", as my girlfriend said I spent more time building it than I did with her, and it was coming between us. She is now my wife, so I guess I got the best of both worlds. I have also built an Airborne using another company's plans. Yours were much more detailed and complete. 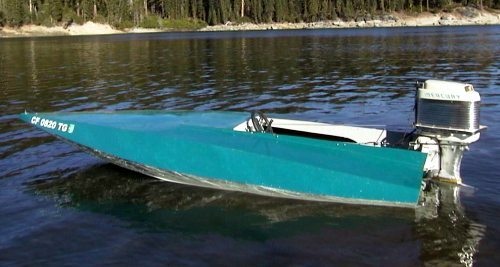 I plan on building a hydroplane next.